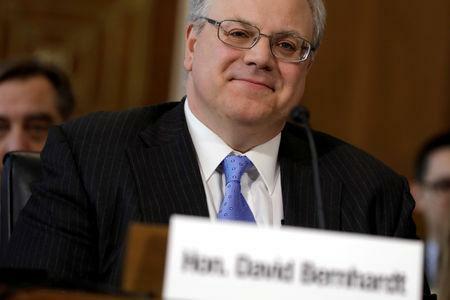 (Reuters) - The U.S. Senate confirmed former energy lobbyist David Bernhardt as the next Interior Secretary on Thursday, even as coastal-state senators from both parties raise concerns about his plans to vastly expand offshore drilling. Senators approved Bernhardt in a 56 to 41 vote. Bernhardt replaces former Montana Congressman Ryan Zinke as the head of the Interior Department, which manages federal and tribal lands and waters and is key to President Donald Trump's efforts to boost domestic crude oil, natural gas and coal production. He was approved by the Republican-controlled Senate over the objections of Democrats concerned that his former lobbying for industry means he will favour energy and minerals development over conservation. Republican senators including Marco Rubio and Rick Scott of Florida have also raised concerns over the Interior Department's looming five-year offshore drilling plan, which could expand drilling into new parts of the U.S. Gulf of Mexico, Atlantic, Pacific and Arctic. Coastal states like Florida are concerned about the impact of a spill on their tourism industries. But in a sign that Bernhardt has assuaged some of those concerns in recent days, both Rubio and Scott voted for Berhardt's confirmation. Republican senators from North Carolina and South Carolina, two other states opposed to drilling off their coastlines, also voted to confirm Bernhardt. "I am VERY confident that when all is said & done no oil drilling is coming to our coastline," Rubio said on Twitter ahead of the vote. Rubio and Scott had sent a letter to Bernhardt last month urging him to keep Florida protected from offshore drilling and honour a promise Zinke had made prior to his resignation that Florida would be exempted from the plan. 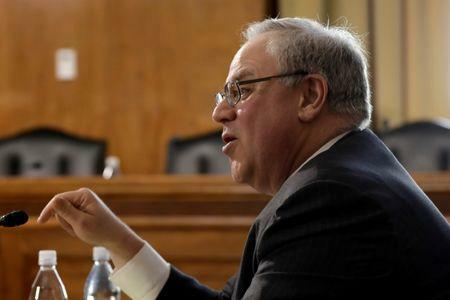 Democratic senators continued to urge that the Senate reject Bernhardt's confirmation because of his close ties to some of the industries that the Interior Department would regulate.